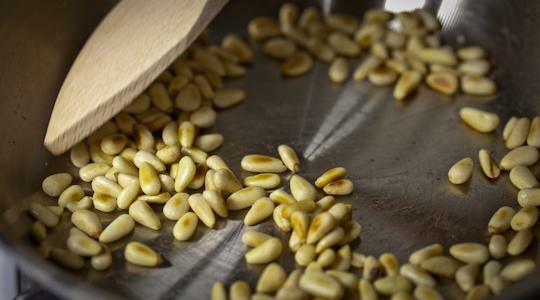 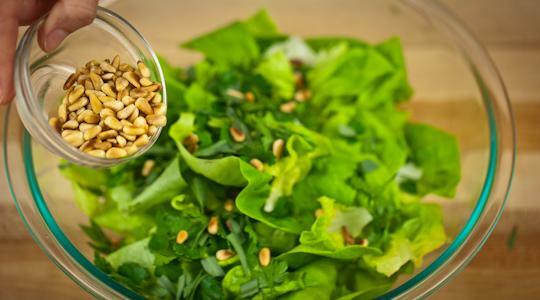 Place the pine nuts in a small skillet over medium heat and cook, stirring or tossing often, until golden brown, 3 to 4 minutes. 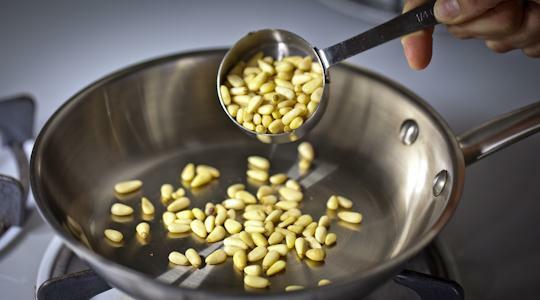 Transfer to a small bowl to cool. 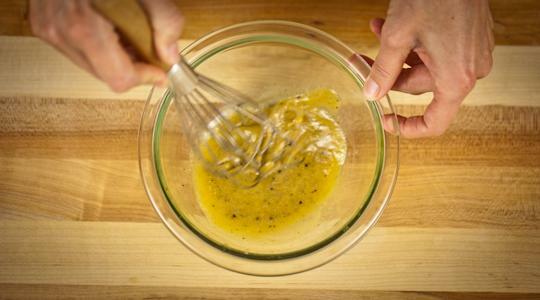 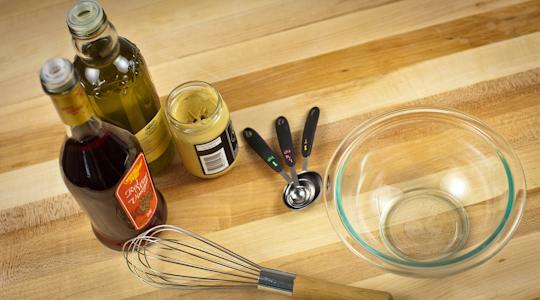 In a small bowl, whisk together the mustard, vinegar, oil, salt and pepper (12 turns on pepper mill). 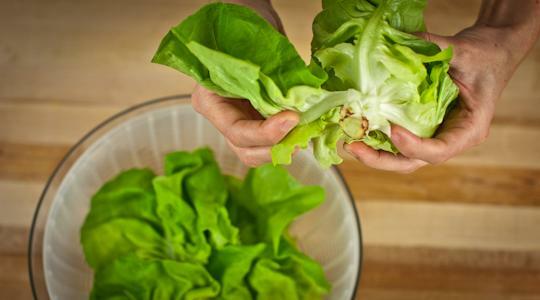 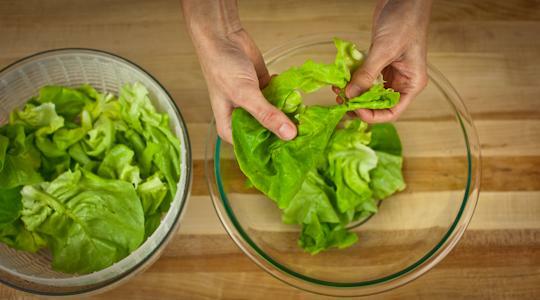 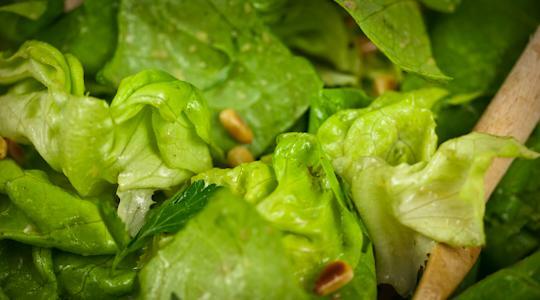 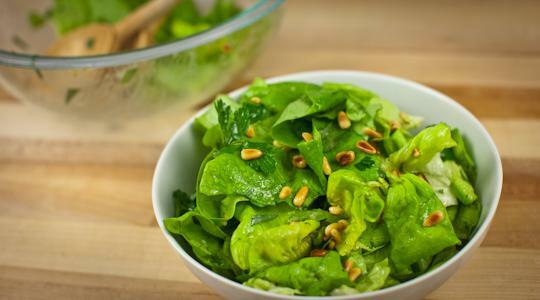 Wash and dry the lettuce.Tear into bite-size pieces (you should get about 8 cups) and add to a large bowl. 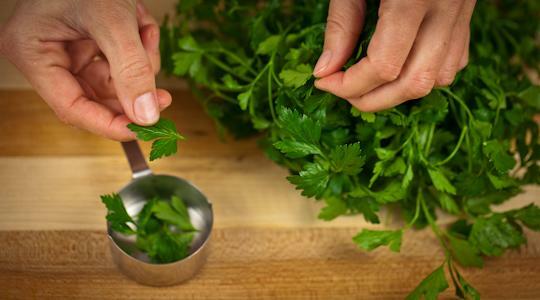 Wash the parsley and tarragon and pat dry with paper towels. 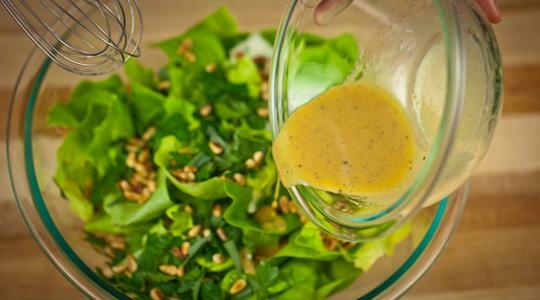 Add the parsley leaves to the lettuce. 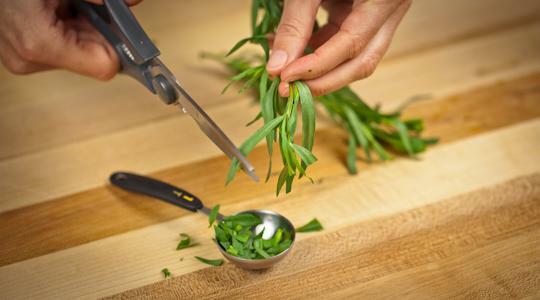 Using scissors, snip the tarragon into small pieces and add. 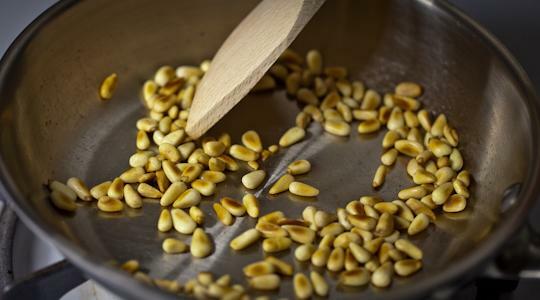 Add the pine nuts and vinaigrette and toss well.